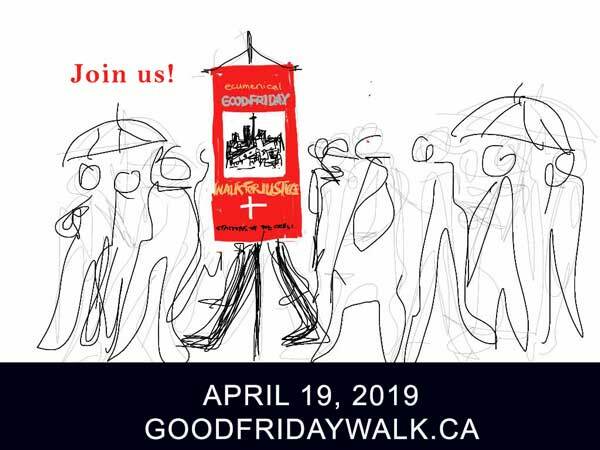 April 19, 2019 2:00 p.m. – 5:00 p.m. 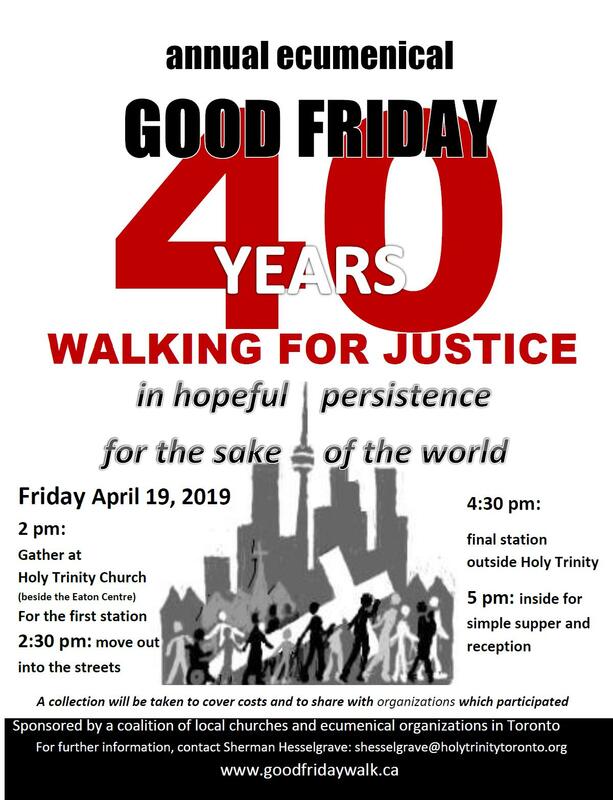 The walk begins and ends at the Church of the Holy Trinity and the crowd moves as a procession to stations around the city within walking distance, each set with a different aspect of the theme. At the end of the walk, back at the church there is a short reflection followed by a light meal of soup and bread. Posted in 2019 on March 25, 2019 by swprogram.